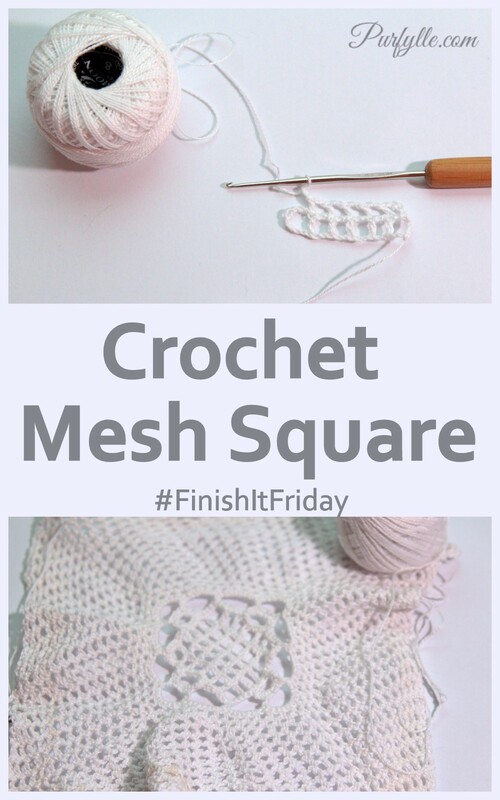 This little crochet mesh square is worked in no. 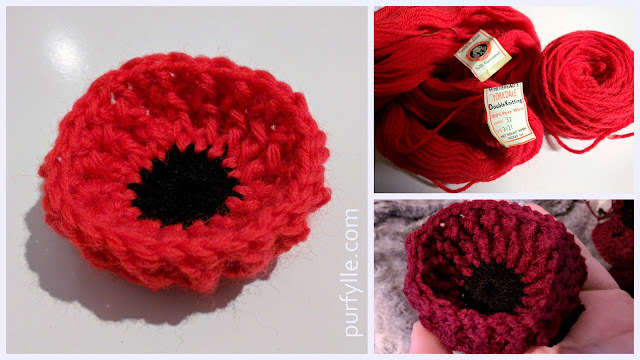 8 crochet cotton using a 1.6 mm crochet hook with the centre design based of Eivor's granny square. My intention was for it to be a bowl cover. I clearly didn't pay enough attention while making this square and I've added in extra stitches along the way. I must've been watching a rather good show at the time, my guess is a costume drama, maybe Downton Abbey, The Paradise or Mr Selfridge. Ever since this little project has sat waiting for me to decide it's fate. I'm just going to have to rip this one out I think. YES. There's still lots left to do. Meh, it's ho hum boring work and I wish I had a cutting mat and a sharp rotary cutting blade to make the work go faster. And a more general update on Finish It Friday progress because I want you to know I am making progress, far more progress then I would have if it weren't for Finish It Friday's. I've almost finalised my edging plans for the Little Granny Square project which was the very first Finish It Friday project. 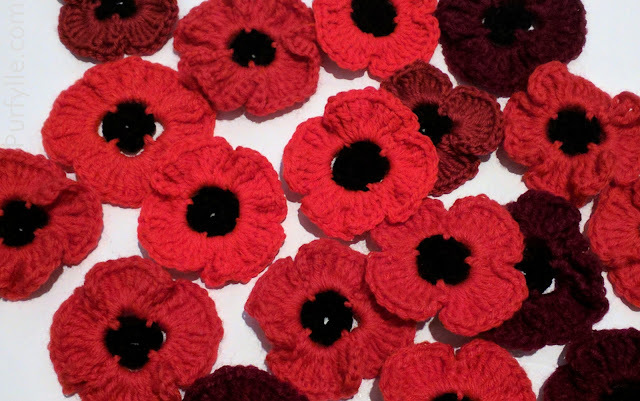 I also think I know what I'm doing with the wool that I was practising broomstick lace with. I've shown you mine, now I want to know how your projects are going? Have you been working on them? 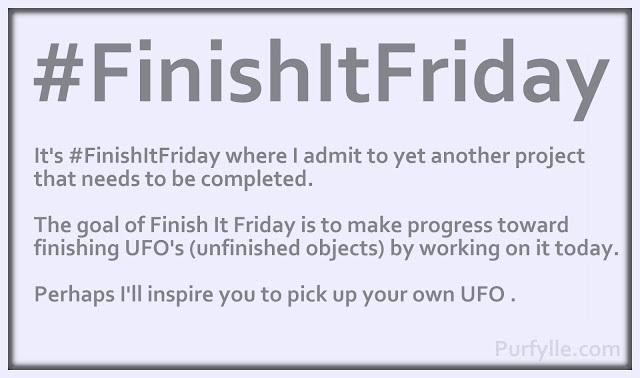 How many UFO's do you have and will you be working on finishing one this weekend? A cutting mat and rotary cutter has saved my sanity when doing quilts!! I can't even remember how I did them before! !